Addis Ababa has officially arrived. Following the revelation that the Ethiopian capital was visited by over 650,000 people in the last nine months, the city traditionally known as a transit point has now emerged as a destination in its own right. Start your day in the heart of the city where the Radisson Blu Hotel acts as the perfect basecamp for a day of business meetings or exploring. The hotel is located just a short drive from the African Union and the growing financial district and a stone’s throw from the United Nations Economic Commission for Africa. Grab a world-famous coffee in the land of its origin at the Tomoca Café, located in the hotel lobby. We recommend a cup of what is quintessentially Addis Ababa, the ‘macchiato’. Alternatively, venture out of the hotel on foot to the nearby Limmu Café and Restaurant for a hearty breakfast and experience the traditional Ethiopian coffee ceremony. 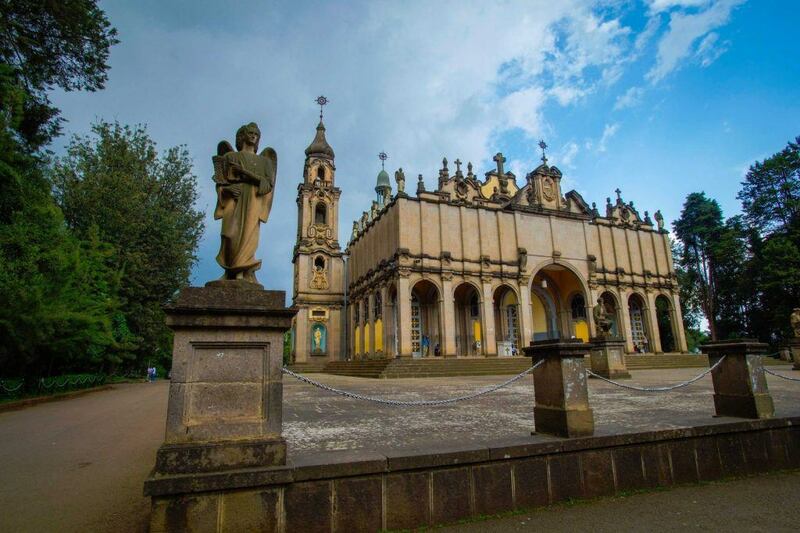 For the perfect introduction to Ethiopia’s millennia-old history and culture visit the National Museum and the Ethnological Museum, both found in the beautifully-kept grounds of Addis Ababa University. The National Museum, which can be seen in a relatively short trip, features archaeology and anthropology exhibitions, as well as a collection of contemporary Ethiopian art. It is also home to Lucy, the 3.2 million-year-old hominid and ‘grandmother of humanity’. Another real highlight is the Ethnological Museum, which should not be missed! It is housed in the former imperial palace of Emperor Haile Selassie, and you can walk through the royal bedrooms and bathrooms which still retain their original features. Travel next to the Holy Trinity Cathedral built in the 1940s to commemorate the country’s liberation from Italian occupation during World War II. The ornately decorated and painted interiors culminate in the massive granite tombs of Emperor Haile Selassie and his wife Empress Menen Asfaw, located within. Walk the grounds which feature the graves of prominent Ethiopians from across society, including the mausoleum of the late Prime Minister Meles Zenawi. Visit the craft shops on Churchill Road to pick up some souvenirs for home. From delicate textiles to artisanal woodwork and jewellery, there will be something for everyone. Just make sure you haggle, its tradition after all. Head to Gusto Restaurant for an elegant fine-dining experience overlooking the city as you indulge in some of the finest Italian cuisine south of the Mediterranean. The perfect place for a business lunch or to celebrate a personal milestone, the spectacular service and staff speak to Ethiopia’s celebrated culture of hospitality. Drive up to the Entoto hills above the city for panoramic views, refreshing highland air and the historic church of Entoto Maryam built over a century ago. The tranquillity will revive you, away from the busy bustle of the city below. Descend to Piassa, in the historic heart of Addis Ababa. This quarter of the city sees Ethiopian culture intersect with the heritage of Italian, Greek, Armenian and Indian immigration to the country during the 20th century. Take in the quaint cinema halls and coffee houses as well as the iconic silver and goldsmith shops, which exemplify the spirit of entrepreneurship in the city. Finish with a baklava and coffee at Ras Mekonnen Café, one of the oldest in the city. After a quick refresh back at your hotel, treat yourself to some dinner and dancing (optional) at the popular Ethiopian cultural restaurant, Habesha 2000, in the lively Bole Medhanialem area of the city. This theatre-restaurant is as much about the entertainment as the food, with dancers and singers embodying the diversity of Ethiopia by performing to music from across the country. Indulge in injera, made from teff of course. Whether a carnivore, vegetarian or vegan there is something for everyone. Use your hands to tear the injera and to scoop up the variety of sauces on your plate. Accompany with traditional honey wine called tejj or one of the many local beers on offer. If you’re not ready to call it a night, experience Addis Ababa’s popular nightlife at the nearby A.V Club or the Vanquish Lounge where the cocktails and music flow through to the early hours. Return to the Radisson Blu. Rejuvenated and refreshed by your experiences, why not begin preparing for your next journey. Fly Ethiopian Airlines so you can fit in that extra day in Addis on your way back home. Remember not to sleep in and miss your flight in the morning! If you do, however, rest assured that there remains even more to see and do in Africa’s capital, tomorrow.